Our beginners course, Ocean Diver, is equivalent to PADI’s Advanced Open Water Diver and costs just £345.00** (for the basic course). Over eight Wednesday evenings and five open water dives, you will learn buoyancy control, problem-solving and rescue skills. There are also seven lectures to give you the knowledge to dive safely. This course will see you complete your five qualifying open water dives over a weekend at a local inland dive site. This option offers great value for money and the convenience of being able to complete your course without an overnight stay at the coast, ideal for people on a tight budget or with time constraints. As the name suggests, as well as a day at a local inland dive site this course also includes a weekend away at the coast, where you will get your first experience of diving in the sea. Completing this course means you will be a more well-rounded diver by the time you qualify, perfect for those who are looking for a more complete experience. Whichever course you choose, once you have completed you will be the proud holder of an internationally-recognised diving qualification from the British Sub-Aqua Club (BSAC) that will allow you to dive anywhere in the world to a maximum depth of 20m. Both of Holborn’s beginners’ courses feature an all-inclusive fee**, although there are some external costs over which Holborn has no control and which are not covered. These include transport to and from the dive sites, entry to inland training centres, air fills at the inland training centres and food and drink when you get there. To make it easier, we can even take course payments in installments. To discuss this option, please contact us. 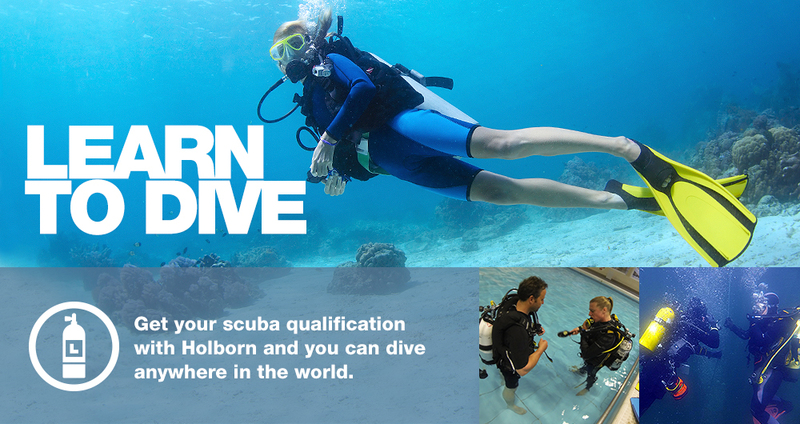 Holborn Sub-Aqua Club run Ocean Diver courses throughout the year. Our next course begins on 29 May 2019 and completes in mid-September. If you are unable to make one of our scheduled courses we are also able to offer ad hoc courses on demand, although this can depend upon the weather and instructor availability. To book a scheduled course or to find out about ad hoc courses please contact us. *Although all equipment is provided we would recommend students purchase their own mask and snorkel. **Please note: course fees are based upon students completing their course within a standard time frame. On rare occasions when students are unable to complete their course within the standard time frame further charges may apply.